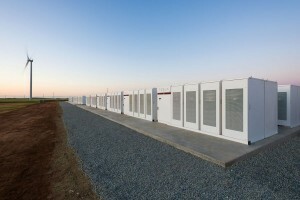 Elon Musk made good on his promise of delivering the world’s largest lithium-ion battery to South Australia. Now, regardless of what the wind is doing on a day-to-day basis, clean wind energy can be provided to the grid 24/7, thanks to the 100MW battery farm. The South Australian Government says the farm, which has enough storage capacity to power more than 30,000 homes, helps provide as much more reliable system overall. Essentially, the world’s largest lithium-ion battery will act as a generator to 40,000km of transmission lines and cables across Australia. South Australia’s recent energy troubles have been widely documented, most notably the blackout which occurred this past September. Tesla believes its massive battery will solve these issues, especially as it pertains to South Australia’s summertime peak loads.